Kruger National Park in South Africa is where nearly 2 million hectares of unrivalled diversity of life forms fuses with historical and archaeological sights this is real Africa. The world-renowned Kruger National Park offers a wildlife experience that ranks with the best in Africa. Sighting the "Big Five" has become something of a quest for many people when on safari, and the Kruger National Park has more than its fair share of these. 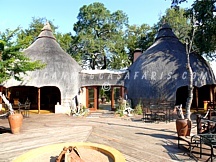 Below is a listing of Western Kruger accommodations in South Africa. To view complete details on the accommodation, click on "Read More+" under each camp or lodge photo. 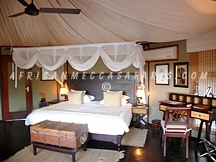 Hamiltons Camp was named after Colonel Stephenson Hamilton, who was instrumental in establishing the world famous Kruger National Park, Hamilton's Tented Camp reflects a safari adventure of the early twentieth century, where grace and style were the epitome luxurious living. Hoyo Hoyo Tsonga Lodge offers luxury in six beautifully furnished huts. 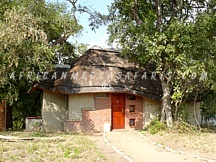 The combination of the bush, traditional cuisine, the warmth of the accommodation together with the opportunity to witness the lifestyle and culture of the Shangaan people, ensure an unforgettable wholesome safari experience. Imbali Safari Lodge is perfectly situated in one of nine pre-allocated private concessions within the Kruger National Park and has been carefully designed to have minimal impact on the natural environment. Twenty-four guests can look forward to luxury suites, each with their own private Jacuzzi.